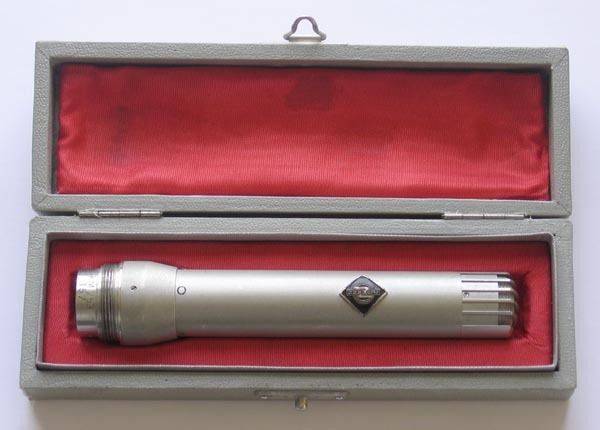 Up for consideration is a rare case for the vintage Neumann KM-253 omni microphone. 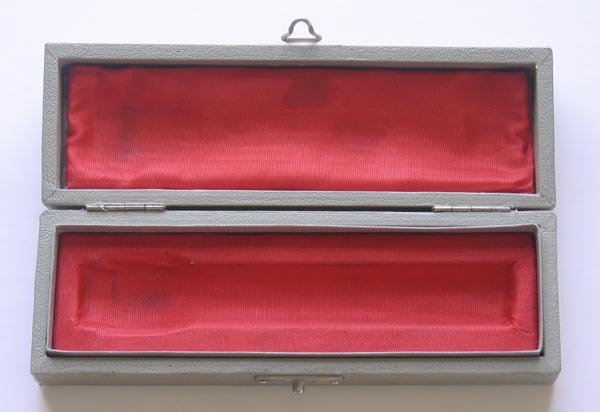 This case was made in 1962 for the KM-253, which is a KM-53 with a larger Tuchel connector for German Broadcast. 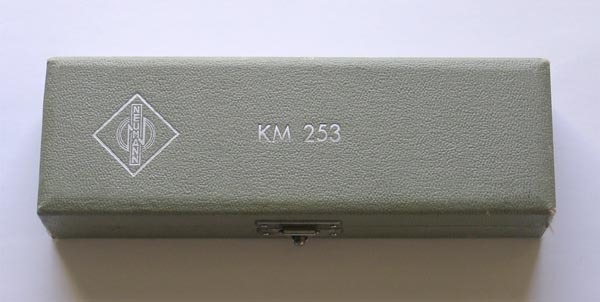 Here is a great opportunity to pick up a rare 50-year-old KM-253 case still in very nice condition!!! The case is in fine condition. It functions perfectly, and will nicely house your KM-253 or KM-254. It should also work fine for a KM53/54 with just some extra space left over for the larger connector. There is a little bit of fraying at the corners, but overall the case is in excellent condition. Only 600 of these mics were ever made, so here is a very rare opportunity to get a matching case for your amazing KM mic.  USA shipping is $7.50 via FedEx Ground, with insurance included. Guaranteed not to be DOA. We do accept PayPal. Thanks for looking. This auction is for one Neumann KM-253 case for the Neumann KM-5x Series Mics. No Microphone is Included. PLEASE CHECK OUT my other Pro Audio gear for sale in Current eBay Auctions, and also see some of my vintage Neuman mics that have Recently Sold on eBay.